Picking up choreography can seem like a brain teaser. Interpreting which arm, which leg, which direction even, can lead to legs and arms everywhere except for the very position they should be in. This can be frustrating, but keep dancing, as research suggests that learning new steps could prevent dementia. I am frequently in a dance studio, where routines and exercises are thrown at me (and my fellow dancers). You’re expected to pick up the steps in a matter of minutes, are set improvisation challenges, and the choreography changes from week to week. It is as much a mental workout as it is physical, digesting the constant new material, but this turns out to be a good thing. At the start of a contemporary class, the teacher announced, “Good news for us dancers, I read today that dancing can prevent dementia.” So I thought I’d investigate. Dementia describes a set of symptoms that may include memory loss and difficulties with thinking, problem-solving or language, that are caused when the brain is damaged by diseases, such as Alzheimer’s. According to the World Health Organization, the number of people who will be affected by neurological disorders is expected to increase in the upcoming decades. There are issues with current surgical and pharmacological treatments, as well as conventional rehabilitative therapies, so new therapies are needed. Dance is seen as viable therapy because it simultaneously combines physical and cognitive stimulation, which could maximize its impact on neuroplasticity and cognition. So far, studies have examined the effects of dance in elderly individuals with dementia, including subjects with Alzheimer’s disease and those with confusion, disorientation, and memory loss. Dancing is mainly associated with physical health benefits, but scientists have recently discovered its neurological benefits. The complex mental coordination that dance requires activates several brain regions: the cerebellum, the somatosensory cortex and the basal ganglia, triggering kinaesthetic, rational, musical, and emotional responses. This strengthens neural connections and can improve our memory. In 2003, research published in the New England Journal of Medicine found that dancing can reduce the onset of dementia. The 21-year study of senior citizens, aged 75 and older, was led by the Albert Einstein College of Medicine in New York City, funded by the National Institute on Aging. They measured each participant’s mental alertness as a means of monitoring the rates of dementia, including Alzheimer’s disease. The researchers studied a range of cognitive and physical activities, such as reading; writing; doing crossword puzzles; playing cards; playing musical instruments; dancing; walking; tennis; swimming and golf. Surprisingly, dance was the one activity that was good for the mind, significantly reducing dementia risk. Regular dancing reduced the risk of dementia by 76%, twice as much as reading. Doing crossword puzzles at least four days a week reduced the risk by 47%, while cycling and swimming offered no benefit at all. But, not all forms of dancing offer the same cognitive benefits. Working on memorized sequences, might improve your performance, however it doesn’t create new neural pathways. The theory goes that the more pathways your brain has the easier it can access stored information and the better your memory. Building your brain’s neural complex works in much the same way as exercise, to get fitter you have to train regularly. So, the more dancing you do, the greater your cognitive reserve. And don’t worry about having to attend dance classes. It’s said that you’ll benefit from just going out dancing. Your improvisational skills on the dance floor should fire up the rapid decision-making that’s needed to forge new neural pathways. Another study in 2012 showed that a 10 week dance intervention helped dementia patients over 70. It was a small pilot study of 18 subjects, where ten of the dance participants showed an improvement in cognitive function and mood compared to the eight who did not dance. Dance has also been found to alleviate symptoms of Parkinson’s disease. Similarly to dementia, it is another disease where individuals can suffer impaired mental function due to damaged neurons in the brain. A review, published in BMC Neurology, discusses how the Argentine Tango can improve an individual’s spatial awareness and memory because of the postures and simple paths learnt during the dance classes. These are then stored, remembered and used again, but it is also important for individuals to improvise and respond spontaneously to the music. The field of dance research in the elderly is relatively young and continues to evolve. A study published in BMC Geriatrics, found that a dance video game, which combined physical and cognitive training, was more beneficial in improving walking accuracy and pace in older adults than muscle strengthening exercises alone. Research hoping to bolster the use of dance therapy include a trial in BMC Geriatrics. 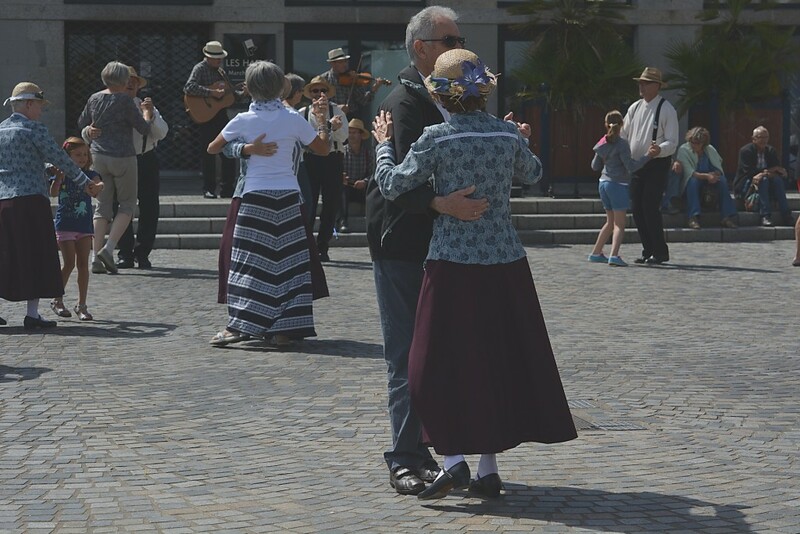 The authors will examine whether two hours of moderate dance sessions a week will be sufficient to increase brain growth factors supporting brain plasticity and slow down dementia progression. Dance and ageing research has shown its positive impact on the neurology in healthy and dementia groups. Dance therapy could be prescribed by physicians to improve visual perception and spatial memory, an area commonly affected by dementia. Even so, would traditionalists be willing to accept dance as something more than just a hobby and trust in its clinical value? At least there’s little worry about negative side effects. If dancing can keep my mind healthy, as well as my body, then bring on the fast intricate footwork along with a port de bras (carriage of the arms) to match. I’ll see you in the studio. With a BSc in Zoology from the University of Durham, Alanna assisted with cheetah conservation and land rehabilitation projects in Africa, before entering the realm of science communication. Having achieved a Masters in Science Communication from Imperial College London, and after experimenting with art infused science activities, she joined BioMed Central in April 2014.